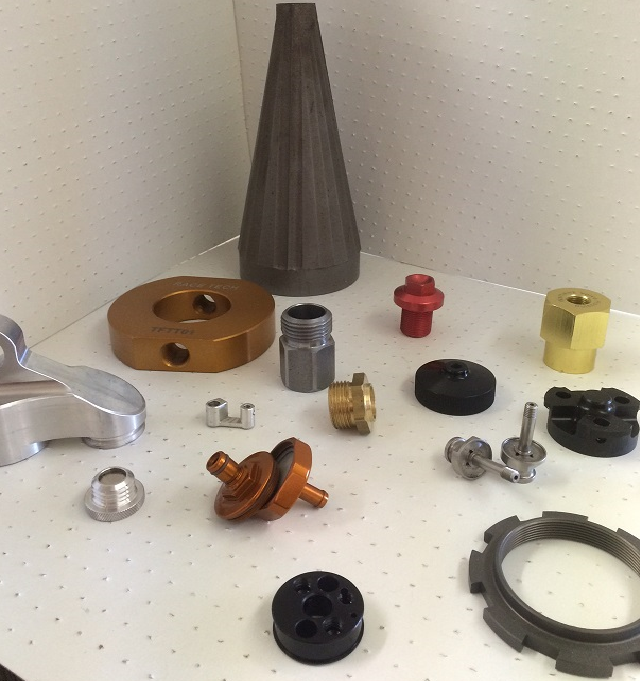 ~~~~~ABOUT Our Hesperia Machine Shop provides high quality CNC machining and fabrication with competitive pricing and a focus on “on-time” delivery, customer service, and support. We work hard to remain on the cutting edge of technologies and processes in a highly technical industry. We have been providing on time parts with reliability since 1976. Our facility is located in a 6000 sq ft bldg. and is managed by manufacturing professionals with over 150 years of big and small company experience, so please feel free to tap into our knowledge. We supplied Schlage&Westlock 15,000 inserts per week for 25 years. These inserts were used in the lever handles for the commercial building and the hotel industry for their Key Card Entry. We made Smart Shock parts for K2 Mountain Bikes(95-98’), which included the parts to make 350 shocks per day. We did over 1,000,000 parts per year. In addition to machine shop products, TerryCable has been the premier mechanical cable manufacturer in the US for over 40 years. We make cables for the Motorcycle Industry, the Automotive World, and the Aerospace Industry…. such as the Black Hawk Helicopter. ~~~~~PARTNERSHIP At TerryCable we work hard to build long term partnerships with our customers. Most of our customers have been with us since day one and know that they can count on us when the inevitable scheduling change occurs.